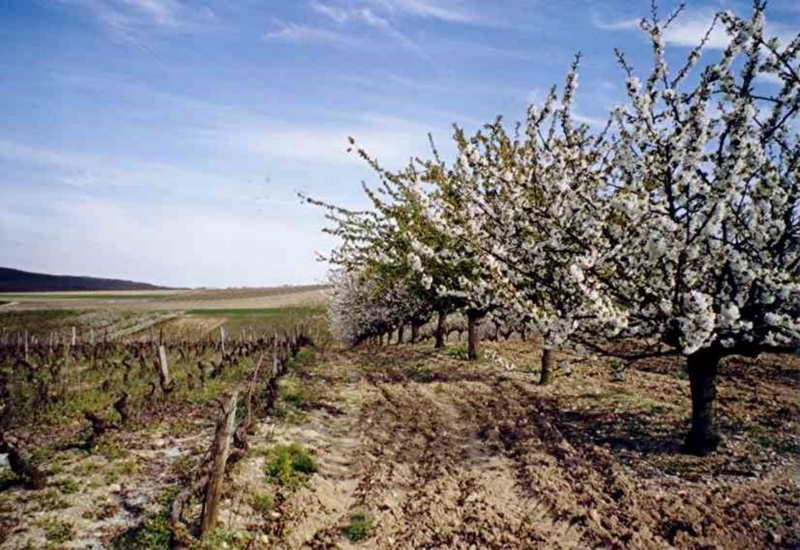 In 1986, Claude Madelin and Dany Petit acquired ten hectares of cherry orchards in the village of Vaux, located just a stone’s throw west of Chablis in the Coteaux d’Auxerre. In 1994, they planted their first vineyard - 1 hectare of Chardonnay. From the beginnnig, they made the decision to have both the orchards and vineyards be certified organic. Today the domaine consists of 3 hectares of Chardonnay, 2 hectares of Pinot Noir, and 12 hectares of cherry orchards. The wines are made in a small garage winery, where the “simple is best” philosophy holds true. Both Pinot Noir and Chardonnay are made with native yeast, and aged in stainless steel and metal tanks for 6-8 months before bottling - there is no oak to be found anywhere. The wines have a delicious purity that comes from a direct expression of the grape and terroir. 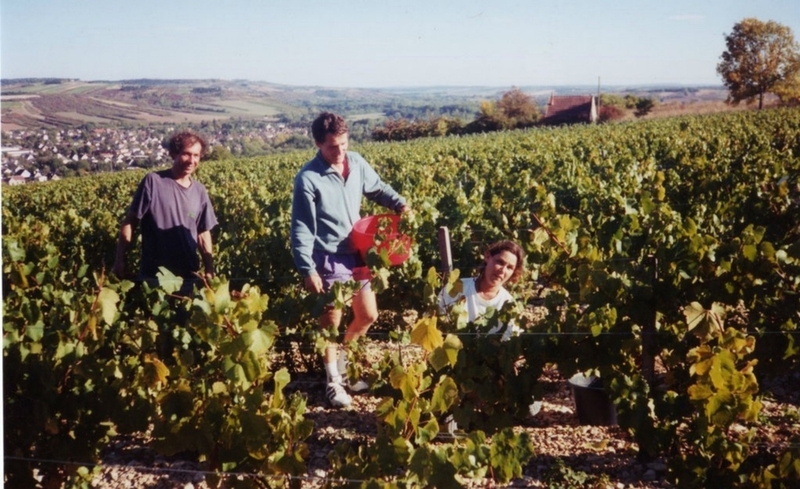 More than 20 years later, Claude and Dany continue to work the entire domaine by themselves, committed to their trees and their vines, and maintaining a microproduction of Burgundy that offers delicious wines at tremendous value. 100% Chardonnay. 20 year-old vines that are organically farmed (since the vines were planted). 3 hectares of clay-limestone Kimmeridgian soils. South-Southeast facing. Vinification: whole cluster to pneumatic press, then the must rests for 12 hours between in large tanks designed especially for this purpose because they naturally accelerate the sedimentation and therefore reduce the amount of SO2 used. Natural yeasts, fermentation for 15 days in steel tanks. Elevage: 8 months in steel tanks. Malolactic fermentation completed. Intervention kept to a minimum. 100% Pinot Noir. 15 year-old vines that are organically farmed (since the vines were planted). 2 hectares of clay-limestone Kimmeridgian soils. South-Southeast facing. Vinification: Destemmed. Pellicular maceration for 4 days. Pressing. Vinified on the skins. Elevage: 8 months in steel tanks. Malolactic fermentation completed. Intervention kept to a minimum.